Just like what they say on their website, "Rockin' Tots to Grunge Grand Dads, the hotel is here to rock yer socks off!". Ha! 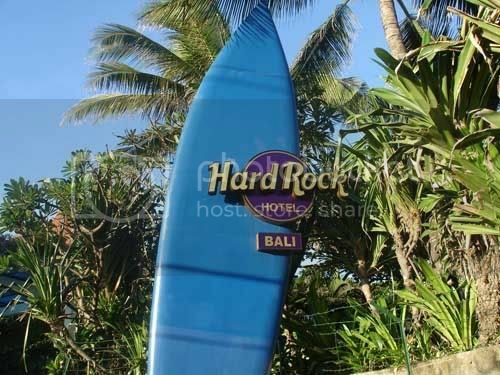 This hotel is just one step away from Hard Rock Cafe Bali. And other cool places to dine and dance, such as Starz Diner, Centerstage, and The Shack. 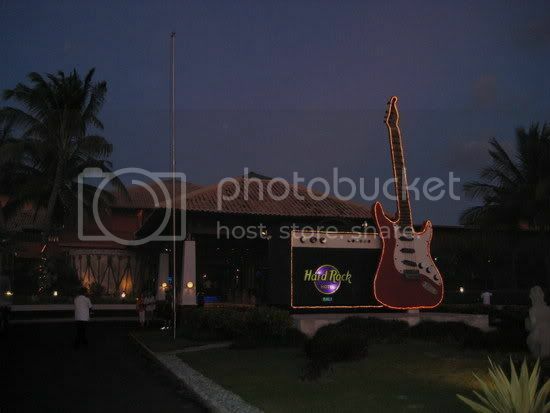 I like this gigantic guitar and radio in front of the hotel..
Signorefandi, zZzZz in rhyme and rhythm...do.zZz..re..zZz..mi..zZz..re..zZz..do..